AllStates Restoration NJ, For all your Water Removal needs call the experts at AllStates Restoration. 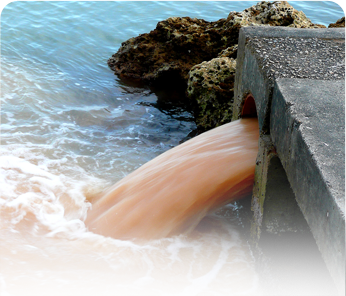 We are serving NJ, NY, PA and CT for many years with excellence in water extraction services. We provide a wide variety of services and indoor air quality for New Jersey residence comfort needs. In the New Jersey area the weather alterations and universal warming are often the key reasons of natural calamities. Flooding water and hurricanes leave the residential properties in miserable conditions. Emergency Water Removal NJ without the assistance of professionals, like AllStates Restoration it may become a tricky and cumbersome task. Hiring the services of professionals can help to bring back your home or business back to its original state. In New Jersey a fire or flood will be damage your property considerably. It is critical to use of the water damage and fire restoration services such as AllStates Restoration whenever possible. This multi-faceted task not just involves removing the excess water out of your home, but also repairing the water damage areas of your home. You will need to begin this clean up, pump out, and restoration the moment possible after the mishap to avoid the expansion of mold and mildew. In many situations, this might begin in 24 hours of those circumstances. AllStates Restoration Services takes necessary precautions to prevent further damages. The nature of this work demands the use of quite a few specific pieces equipment for your basement area. AllStates Restoration is well-equipped with high end equipment’s to handle many ranges of forms of damages. Restoring your property by yourself would cost you more than what you estimates. Chances are you would not have competence in handling even the fundamental equipment similar to nails, drill or fresh paint. Chances are you will not even know the most effective ones available. 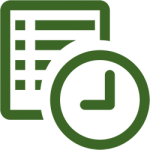 The experts can provide vital resources which might help you to have your home in return to its primary condition. The good news is that they will do it. AllStates Restration Services will know the processes in place in regards to property repair. We are going to stringently follow them thereby providing you peace of mind. If you strictly follow the processes, there are small chances of your house getting damaged in similar cases for the future. 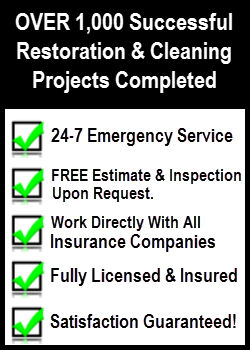 AllStates Restoration is certified by the Institute of Inspection, Cleaning and Restoration standards on Water Damage clean-up and water damage. Damages are not always attributable to a natural disaster basement water removal. A leak in the basement or the breakage of burst pipe could also result in unpleasant situations. 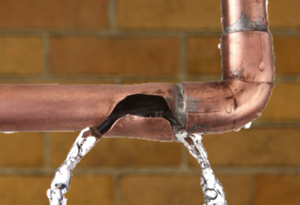 Most homeowners will usually disregard the minor piping problems until they cause terrible structural damages. It may even flood your basement and the precious contents of your home. The comprehensive water damage restoration services will include piping, texturing, painting, and electrical work. They can even help you out in electrical device installation along with the implantation of the fixtures. NJ homeowners and industrial property management organizations don’t have many selections on fixing the sewage backup as well as water removal. It is important to make use of the mold removal services if you come upon dampness in the interiors. This could not just hamper the visual appeal of your home, but additionally threaten the safety of the occupants. Remove mold from your home and premises in making it a safe place to live. Don’t let yourself suffer more! Act Immediately and Call 732-722-5211 for Emergency Water Removal Service NJ Now!